Apple's HomePod was updated this week to version 12, which debuted alongside iOS 12 for iPhones and iPads. The HomePod update brings about a handful of new abilities for Apple's smart speaker, including support for multiple timers, lyric search, find my iPhone, making and receiving phone calls, and more. Because of all the useful and handy new additions arriving on HomePod this week, we've written this guide to provide quick steps that can help you figure out each new feature, and added in some tips as well. On previous HomePod software you could only make one timer and not name it, but with the new software Apple is letting you create and name as many as over 20 timers at once (our testing reached about 23). This should greatly help out HomePod owners, especially those who have placed the speaker in their kitchen. "Hey Siri, set a 15 minute timer for food." "Hey Siri, set a burger timer for 20 minutes." "Hey Siri, set a 25 minute french fries timer." "Hey Siri, set a 45 minute timer for the laundry." "Hey Siri, set a 3 hour timer for the sprinklers." "Hey Siri, what's left on the food timer?" "Hey Siri, how's the french fries timer?" "Hey Siri, what's the sprinklers timer at?" "Hey Siri, how long until the laundry is done?" "Hey Siri, is the burger timer almost done?" "Hey Siri, where are the timers at?" "Hey Siri, how much time is left?" "Hey Siri, list the timers." The limit of any timer is a maximum of 23 hours (as it was previously). If you create a timer but don't give it a name, Siri will name the timer by its original length, saying something like "There is 1 minute left on the 10 minute timer." When you have multiple timers running and one ends, the usual timer ending chime will sound, but it will now be interspersed with Siri stating which timer is completed. As usual, you can tap the top of HomePod to silence the timer, or ask Siri to shut it off. If you have numerous timers running simultaneously and want to end them all, you can say "Hey Siri, stop/cancel all of the timers." "Hey Siri, search for a song with the lyrics [lyrics]." "Hey Siri, play the song with the lyrics [lyrics]." "Hey Siri, search for the song that goes [lyrics]." "Hey Siri, play the song that goes [lyrics]." If you just want to perform a search for a song based on its lyrics without playing it, you can say something like "Hey Siri, what song has the lyrics [lyrics]?" "Hey Siri, find my iPhone." "Hey Siri, find [iPhone name]." "Hey Siri, where's my iPhone?" "Hey Siri, ping my iPhone." "Hey Siri, can you find my iPhone?" "Hey Siri, is my iPhone nearby?" "Hey Siri, I can't find my iPhone." Siri will respond to each one of these commands by asking "Should I try to make it play a sound? ", to which you'll need to reply yes or no. This feature extends to any iOS or macOS device connected to your Apple ID, so you can also search for a missing iPad or MacBook, as long as they're all connected to the internet at the time of the search. You can provide the specific name of each device to ping, but Siri does have some trouble recognizing custom names at times. 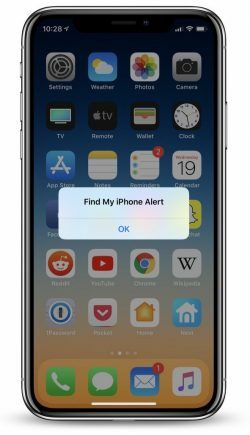 When the alert is sent, you'll get a notification on the lost device and an email to your connected Apple ID account. Making a call: "Hey Siri, call Ben." When a call comes in on iPhone: "Hey Siri, answer my phone." Hanging up: "Hey Siri, hang up." Checking a missed call: "Hey Siri, who just called?" During a call, HomePod's top Siri waveform display will turn a bright green, indicating that you're on the phone with someone. If you don't want to speak to Siri to hang up, you can simply tap once on HomePod to end the call. Of course, the usual volume indicators can also make the person on the other end softer or louder. Notably, you won't be able to perform any of Siri's basic search or query functionalities while HomePod is being used as a speakerphone. If someone else calls you while you're talking on HomePod, you can tap the green light at the top of HomePod to switch to it, or double tap the green light to end the current call and switch to the new one. To continuously switch between calls, tap the top of HomePod. More details on HomePod's new update can be found in our launch post, and if you need a refresher on HomePod's overall set of features be sure to visit our full HomePod Roundup. Yes but before you could just say "Set a timer for x minutes" and it would only have the one timer. It'll then prompt you to amend the existing timer if you set another. Now you can say "Set 15 minutes for the cuttlefish, set 3 minutes for the asparagus, set 50 minutes for the inevitable toilet break", and it'll have a separate timer for each, which you can also check by saying "How long on the cuttlefish?" Seems like a reasonable article IMHO; I wouldn't have known this otherwise. Cuttlefish, asparagus and a toilet break? Isn’t this part of the plot from the iPad episode of South Park? Gonna go out on a limb here but the entire point of Siri is that you can tell it what you want to do. So we should be able to assume that you simply ask it to do any of the things this guide includes. If you want it to set a 15 minute timer, you ask it to set a 15 minute timer?! NO WAY! !